Lucid dreams are dreams in which you realize that you’re dreaming. You become super aware of your surroundings are able to modify them as you wish to some degree. This opens up numerous possibilities and some lucid dreamers report that they travel to the different planets, talk to historical figures, and even exist as a tree in their lucid dreams. 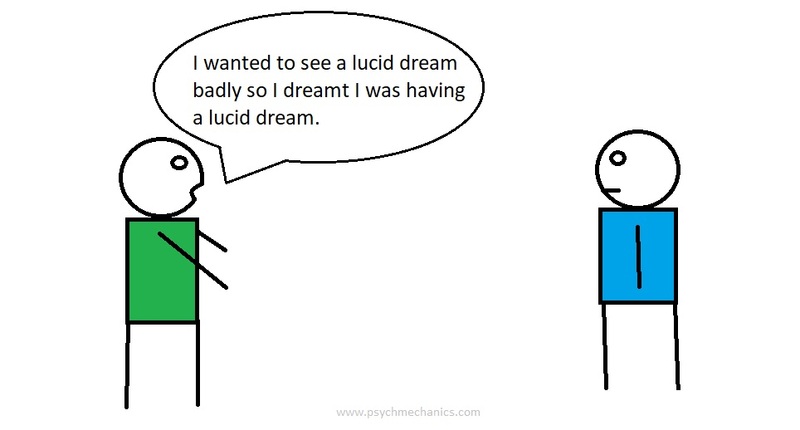 Despite being one of the most wonderful of human experiences, many people are yet to experience a lucid dream and those that have wish they experienced it more frequently. At its core, a lucid dream is simply a consequence of an increased level of awareness in the dream state. In a lucid dream, you become aware that you’re in a dream. Most people are not very aware and go about their lives in a largely unconscious manner. Those who lack awareness, much less self-awareness, are not very likely to lucid dream. Awareness is a skill. The more you practice being aware in your waking life the more it’ll spill over to your dream life and you might one day find yourself in a lucid dream. Practice being highly aware of your surroundings, of other people, their behavior, your own behavior, thoughts and emotions in your waking life. Flex those awareness muscles. If you naturally remember your dreams you already have a high level of awareness. If you don't you can practice being more aware of your waking life and dream life. Keeping a dream journal is a good start. Recording your dreams every day will eventually lead to better dream recall and an increased level of dream-awareness. Many people have experienced lucid dreams when they were practicing some relaxation technique such as meditation. Thing is, a stressed brain doesn’t promote lucid dreams. When you’re stressed or going through some emotional turmoil the mind is rather busy working on important issues and may give you dreams to help you become aware of and resolve those issues. Lucidity isn’t very helpful in this scenario because the mind has more important things to work on. Also, when you’re relaxed you’re less 'in your head' about some issue and more aware of yourself and your surroundings. Being the ecstatic, relaxing and peaceful experience that it is, lucid dreaming is the exact opposite of a stressed brain in alert mode. Once you’ve got all these factors covered, you can try some techniques to give yourself that final push into the world of lucid dreams. This practice involves checking your environment several times a day to check whether or not you’re dreaming. For instance, if you try to push your finger into the opposite palm but are unable to do so, you know that you’re not dreaming (laws of physics are intact). You may, however, be able to do it in a dream and instantly know you’re dreaming, triggering a lucid dream. In this technique, you set your alarm to wake you up around 2 hours before you normally wake up. When you wake up after 5-6 hours of sleep try to think of what dreams you had and think about lucid dreaming in general. Then go back to sleep after around 20-30 minutes. You're likely to lucid dream in this second round of sleep. Mnemonic Induction of Lucid Dreaming (MILD) is a technique where, after sleeping for about 5-6 hours, you wake and repeat phrases such as “I will remember that I’m dreaming the next I’m dreaming” to yourself. Then you go back to sleep for lucid dreaming experience. A 2017 study done at the University of Adelaide found that participants who combined all the above techniques for about a week or two showed an increased likelihood of having lucid dreams. To have insight you need awareness, you need to understand the problem fully and be able to look at it from different angles. Related cognitive skills such as curiosity and inquisitiveness should also promote lucid dreaming. After all, it’s a stroke of insight generated from the curiosity of wanting to know whether or not your dreamscape is real (“Am I dreaming?”) that triggers a lucid dream. 1. Crick, F., & Mitchison, G. (1983). The function of dream sleep. Nature, 304(5922), 111-114. 2. Aspy, D. J., Delfabbro, P., Proeve, M., & Mohr, P. (2017). 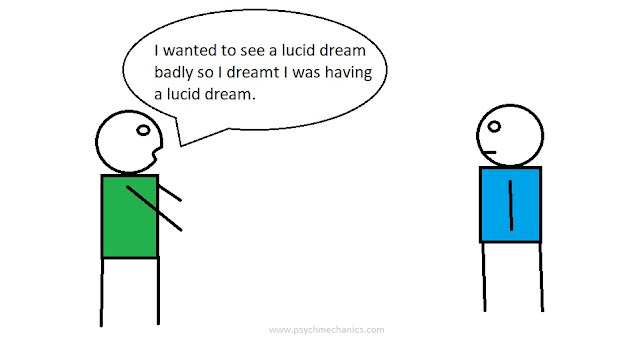 Reality testing and the mnemonic induction of lucid dreams: Findings from the national Australian lucid dream induction study. Dreaming, 27(3), 206. 3. Bourke, P., & Shaw, H. (2014). Spontaneous lucid dreaming frequency and waking insight. Dreaming, 24(2), 152.